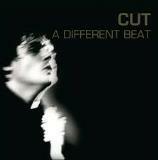 A Different Beat is CUTs fourth album, originally released by Homesleep Records in 2006. This album really forged the template for the bands contemporary sound. In fact, many of its tunes are still focal points in the bands live shows: Wrong Black City, Sister Guillotine, Sweet Words and live concert climax Nightride. After being out of print for almost ten years the album has been finally reissued by Area Pirata Records both on vinyl (Gatefold sleeve) and CD. Physical copies of A Different Beat will come with a code for downloading the full official album plus outtakes and alternate versions.